It didn’t just go downhill for Villarreal last season, it ended with them actually falling headlong off the cliff. From a Champions League semi-final and a second place La Liga finish four years ago to relegation and mid-table in the Segunda. From Manuel Pellegrini, Juan Roman Riquelme and Santi Cazorla to Julio Velazquez, Walter Pandiani and Gerard Bordas, a dynasty that took over a decade to build was torn apart in just two seasons. Like many Spanish teams Villarreal simply could not cope when the recession hit, a club operating on small margins was thrown into chaos and club President Fernando Roig, along with those in power, did little to calm the storm. Losing Manuel Pellegrini- the architect of their most successful years, to Real Madrid no doubt hurt, but it wasn’t until two years later during the summer of 2011 when the departure of Santi Cazorla to Malaga sparked a downfall that has continued to accelerate at an alarming pace. Ernesto Valverde came in for Pellegrini in 2009 and only lasted six months before Villarreal B coach, Juan Carlos Garrido was appointed and surprisingly went on to take the team back to the Champions League the following season, things were looking up for the Yellow Submarine. 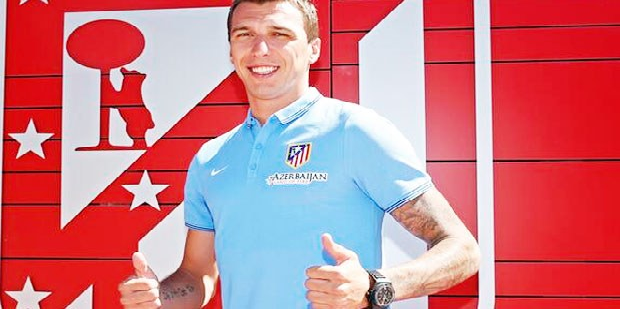 However a disastrous summer transfer window followed that saw two stalwarts, and members of the Spanish national team, in Santi Cazorla and Joan Capdevilla depart with re-investment poorly put into the likes of an ageing Javi Camunas and an error prone Cristian Zapata. The next moment in a doomed chain of events came when Villarreal were drawn in a Champions League group that contained Bayern Munich, Manchester City and Napoli. As the season progressed the Valencian team lost every single European game and moved swiftly down the La Liga table. Garrido was duly dispatched and another Villarreal B coach was promoted in Jose Francisco Molina, yet the former goalkeeper lasted only three months as the situation became severe with the club hovering just one place above the drop zone. Miguel Angel Lotina was next up, but things continued to deteriorate, and his short tenure culminated in Villarreal’s agonising final day collapse and relegation. Much like the appointment of Garrido, Villarreal looked to have found their man in Manuel Preciado and after their search to find a new coach the team and fans felt confident of an instant return to La Primera, yet Preciado’s tragic death just hours after being confirmed as coach made Villarreal’s spiral downwards continue at a pace. After the awful loss of Preciado, Villarreal’s summer took yet another turn for the worst as €38 million worth of players were sold. Gonzalo Rodriguez and Borja Valero left for an arguably small combined fee of €8.5 million and along with the third and most recent purchase, Giuseppe Rossi, are impressing many in Italy as Fiorentina continue a fine season. Goalkeeper Diego Lopez also went for a low €3.5 million and is now Sevilla’s first choice stopper. However Villarreal did do well to bring in €10 million and €8 million for Nilmar and Marco Ruben respectively, but even so without a single cent spent on reinforcements a prolonged stay in the Segunda has begun to look likely. Villarreal have reverted to promoting their first team coaches with Julio Velazquez currently in charge of the squad who sit inside the playoff places. Velazquez’s Villarreal B side were automatically sent down a league due to Villarreal’s relegation, and the young coach now gets a second season in the Segunda. Struggling for consistency with only one set of back to back wins Villarreal have recently shown glimpses with a 3-0 win away to Racing and a 4-0 drubbing of Alcorcon, yet they still rely heavily on a now 36-year-old Marcos Senna and are likely to have serious problems holding on to the likes of Bruno Soriano in January following on from the departure of Giuseppe Rossi . Fiorentina recently agreed a deal with the Italian whilst Valencia among others remain keen on Bruno. 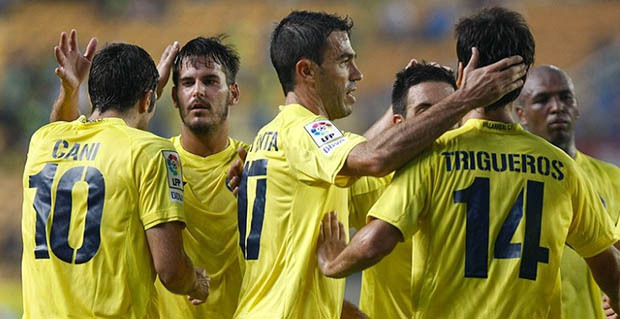 Any money raised from sales in the winter transfer window could decide Villarreal’s fate, if re-invested the team may have a chance of automatic promotion at the first time of asking; but with Elche running away with the title and impressive showings from teams such as Girona, Almeria and Alcorcon above them, Villarreal could be set to gamble on the playoffs – something which has the potential to exasperate the clubs current downward trajectory.